We are manufacturing boiler bed material used in industrial boilers in paper industries, glass industries, cement plants & thermal power plants, our plant was situated at tirunelveli south tamil nadu with production capacity of 2000 M.T per month. We are manufacturers of Textile Boiler bed material and are looking for distributors to sell our products throughout. The boiler sand that we supply for FBC operation is just free (SUPER WASHED) dry and carry over is minimum because of correct sizing of bad material, as compared to any other bed material for F.B.C. operation. It is largely used in the boiler that are operating of HUSK / COAL / PET COKE. The Boiler Bed Material is the one of the prime requirement for Boiler operation. 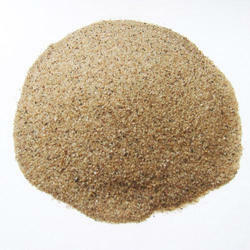 It is a special type of crushed refractory grog. It is the must requirement for Liquidized Bed Boilers. 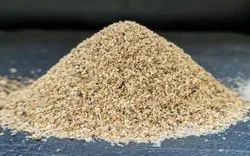 With sincerity and hard work of our professionals, we have carved a niche for ourselves in this domain by providing a premium quality gamut of Boiler Sand. We produce superior quality of boiler sand under the strict supervision of our quality control experts. The product have low level of contaminating metal oxides and foreign particles. Being a noteworthy enterprise of this industry, we are offering a wide spectrum of Boiler Bed Material. The Boiler Bed Material is the most critical product for Boiler operation. It is not just the crushed refractory grog. It is the lifeline for Fluidized Bed Boilers.